The Jewish Museum in London is mounting a must-see exhibition based on the delightful notion of showing everyday objects, historic artefacts, and works of art inspired by love. 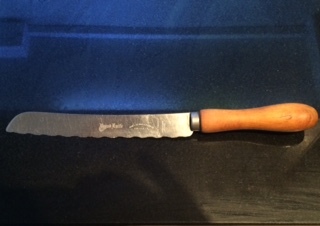 When my wife and I talked of what objects we might have submitted, she came up with a bread knife (James Deakin and Sons Ltd, Sheffield) bought in Woolworth’s for her parents’ wedding in 1939 – and in constant use today. And we pondered the part it had played in the preparation of thousands of family meals and snacks over 76 years. 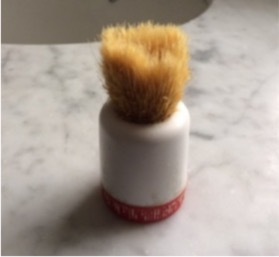 For me, it would have been my father’s shaving brush, with which I shaved for nearly 30 years after he died to give myself a small daily reminder of him. 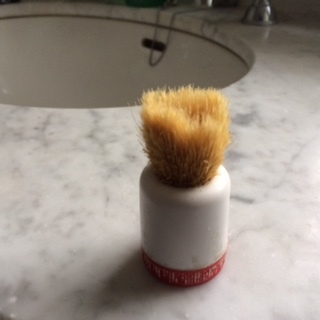 Sadly, I had to stop before it became completely worn away. What objects evoke love and memory for you? that finally did them no good. falling out of their marriages. than to shovel snow at their age. and hired a snow-removal service. and head out alone into the snow.